The Deep… much more than just fish! The Deep has opened two new tanks for visitors to enjoy – Channelled Apple Snails and Leaf Cutter Ants! Make sure to watch out for these new animals in their new tanks this summer as you make your way around Hull’s award-winning aquarium. The Channelled Apple Snails are being displayed in the Slime! exhibit and are a brand new species. 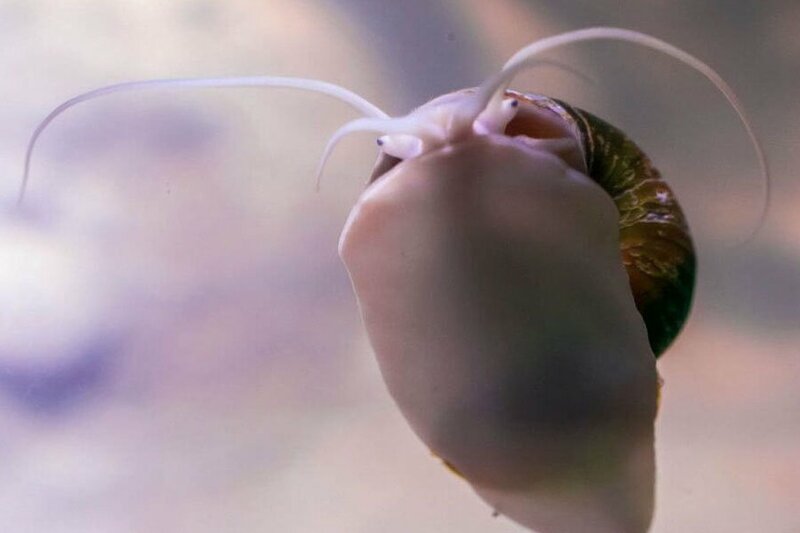 This air-breathing aquatic snail is readily adaptable to many environments and due to its destructive nature has been named as one of the 100 ‘World’s Worst Invaders’. This display highlights the damage invasive species can have on habitats and their native species. An ‘alien’ species can easily upset a sensitive ecosystem, with the long term risks of threatening extinction. Now illegal to import into the UK, our population came from ZSL London Zoos captive breeding group. The leafcutter ants have been displayed at The Deep before but following an extensive revamp, the display is now bigger and better than ever! Follow the trail of ants as they go back forth collecting pieces of leaf to feed their important fungus garden and discover the essential roles each type of ant plays in the nest. Visitors can now see the ants high above their heads, taking the leaves through the clear plastic pipes. The extra space generated by this renovation allows for proper scent trails to be set down and a larger nest to be created, giving visitors a greater sense of what the life of a leafcutter ant is really like. Katy Duke, Curator at The Deep said: “We’re really pleased to be able to showcase these animals and hope our visitors will enjoy learning about them. Visit The Deep’s website for loads more information on the new animals and their new tanks and don’t miss going to the aquarium this summer for a family fun day out!